Clearly, the report must have impressed the Court, for it asked the National Institute of Occupation Health (NIOH) to prepare a report on “Environment, Health and Safety Issues in Coal Fired Thermal Power Plants” which was prepared by NIOH in 2011 and submitted to the Court. It was indeed this very issue that was at the centre of a workshop held recently (February 19-21, 2015) near Bangalore: how projects claimed to be built and operated in national interest are impacting the health and well-being of both workers and local communities living near and in the influence zone of these projects. Titled National Community Health and Environmental Survey Skillshare (CHESS), this meeting was the fifth of such national meetings that have deliberated upon various aspects of community health. While the focus of the meeting was on coal, energy and health, there was lot of experience shared by communities affected by other industries too. The process of CHESS originated in 2001, when several voluntary and community groups from across India working to end toxics pollution came together to organise a ‘skillshare’. Its objective was to understand the nature and extent of the health impact of pollution, learn to conduct simple health surveys, facilitate discussions around these issues and to ultimately create “a multidisciplinary resource base of medical practitioners, community and other public interest activists and toxicologists capable of facilitating pollution-impacted communities’ understanding and action on their own health”. As India renews its thrust to attain high economic growth, energy is one of the key drivers, and coal the mainstay of India’s energy supply. While the impact of displacement, loss of forests etc. due to land acquired for coal mines, power plants, dams are relatively well-known, the pollution hazards of these energy sources are much less discussed, and hence much less addressed. This CHESS workshop sought to fill this gap. The workshop brought out many facts and figures that are not known, and presented insights into the myriad ways in which energy production is impacting the health of people. Coal-based thermal power plants are the mainstay of India’s electricity generation, constituting 60 percent of total installed capacity. The huge impact that workers in these plants face was presented by the Occupational Health and Safety Association, the petitioners in the Supreme Court order quoted above. Their founder, who had worked for many years as a worker in a thermal power plant, graphically described the many serious health problems faced by the workers, the illnesses, disability and even deaths that took place at regular intervals. He also described how these problems are hardly properly addressed, even today. This is the reason the Supreme Court has had to intervene. Of course, it’s not only the workers who are affected. Communities living around coal mines, washeries, thermal power plants all bear the brunt of the pollution – air borne, water borne, soil contamination and more. At the workshop, people living in areas with large concentrations of coal mines and thermal power plants like Tuthikudi (Tamil Nadu), Nellore (Andhra Pradesh), Korba (Chhatisgadh), Singrauli (Madhya Pradesh), Raniganj (West Bengal) and other places narrated their woes. 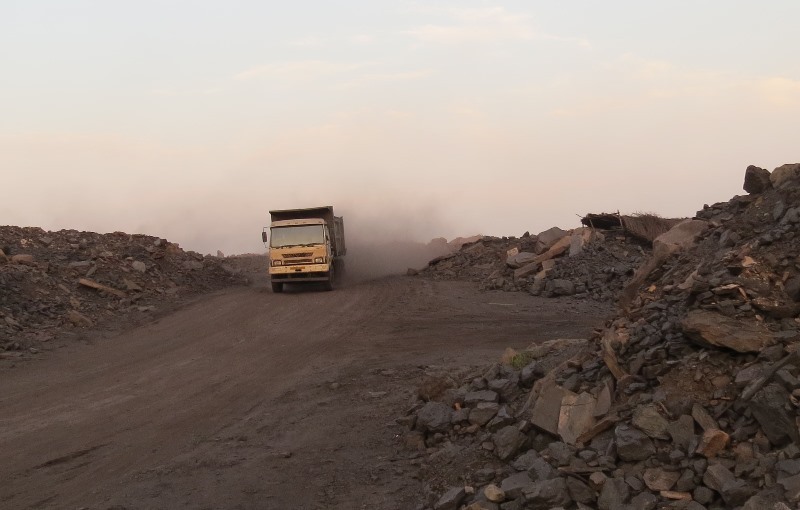 Those living near the mines in Korba talked about the problems created by the sound pollution from heavy vehicles. In nearby Raigad district, the water has turned red from pollution. Coal dust is all around, causing respiratory problems for people and creating a layer of dust on crops. Water that is accumulated in the mines (called mine drainage) is pumped up and discharged at the sides of the hills, from where it flows down into people’s fields, ruining their crops. Another important point that was brought out in the workshop is that often, pollution and health problems do not arise from only a single source such as coal. In most cases, where there are coal mines, pit head thermal power plants also come up, as do other industries that depend on power or coal, or other minerals found there. In several cases, there is also a major water source – like a dam – created to support the coal power plants. This also draws other industries, resulting in multiple pollutants and compounded health impact, making it more difficult to establish direct linkages between illness and pollutants. At the workshop, people from several areas narrated the impact of such multiple sources. In Singrauli, coal mines and the Rihand dam has attracted a large number of thermal power plants and other industries. Korba, with its coal mines and the Hasdeo reservoir, has thermal power plants, aluminium smelters, and other industries. Mettur, with the Stanley dam built in 1936 on the Cauvery, has a large number of chemical and plastics plants, and also a few thermal power plants, resulting in severe pollution from effluents, fly ash and chemicals. Representatives from Mettur described how cattle that eat the grass have their teeth falling out, and women often suffer from multiple menstrual cycles in a month. If the workshop had only concentrated on enumerating the problems, its utility would have been limited. However, what made it far more interesting and impactful was the fact that it was designed to empower local communities to address the serious issues and health impact due to energy production (and industrial pollution). This aspect becomes particularly important in view of the fact that the government and other regulatory agencies have failed miserably to either control such pollution or address its health impact, and thousands of people continue to suffer immeasurably as a result. The workshop addressed the issue of community empowerment in two ways. Apart from affected community representatives, there were several doctors and medical practitioners who had been working in the field of community health and pollution. These experts presented several techniques and methods of conducting simple health impact surveys which the communities themselves could carry out – but which would entail some rigour and would allow useful interpretation in linking health impact to various pollutants. For example, a simple survey method would be to document occurrence of symptoms associated with a known or suspected pollutant. One such case discussed pertained to Kodaikanal, where mercury contamination from a thermometer factory was suspected. One impact of mercury is on coordination. A simple test has to be performed to ascertain this – place a finger of one hand at one foot distance from the nose, and then with a finger of the other hand, quickly touch the nose and the first hand’s finger, repeatedly. A normal person can do it easily, but someone affected by mercury will not be able to do it well. This was a test that the community could carry out very easily. Once this was documented, a doctor would be able to help interpret and confirm with more detailed tests. But the community would be able to establish a prima facie case on its own. Several types of survey methods, with increasing levels of complexity were described. Another important discussion was around how communities can use simple equipment to sample and test certain pollutants. One such method was the “bucket brigade”. This uses a simple and relatively inexpensive ‘bucket’ to take a sample volume of air, which can then be sent to a lab for testing. The key is that the community can themselves take the samples, especially when there are indications of discharge, for example thick smoke, or visible fugitive emissions or strong odour. Community Environment Monitoring, an initiative that helps local communities develop skills to undertake such monitoring, described how people in the Korba area were helped to collect such samples recently. These revealed very high levels of PM 2.5 (the respirable particulate matter that has maximum impact on respiratory systems), in the range of 300-500 microgram per cubic metre against the standard of 60. Coal dust sampling pointed to the presence of heavy metals. The most interesting example of community monitoring was narrated by the workers of SIPCOT Area Community Environment Monitoring (SACEM) group from Tamil Nadu. SIPCOT has an industrial area near Cuddalore, where around 2000 acres of agricultural land was taken up and a large number of pesticides, PVC and other industries were set up right in the middle of residential and agricultural areas. There was rampant pollution, and people were suffering from a variety of health problems. The community decided to undertake monitoring of pollution in the area in a very innovative manner. They identified and categorised the smells of the various industrial emissions by comparing them to popular and easily recognisable odours, for example, smell of rotten eggs, nail polish smell, rotten cabbage smell, fruity smell etc. Each of these smells is also characteristic of specific chemicals, and the community identified which of the factories were using these chemicals as raw materials or producing them as final or by-products. They then formed teams who could identify the odours, and also rate them in intensity. These teams started a study where the members would stand at specific places at pre-decided times several times a day. If they detected a smell, they noted the wind direction, type of smell and intensity. They also noted if any members of the community displayed any health-related symptoms following the odour. To begin with, they carried out a 14-week study, involving the recording of 36 different odours and 30 health symptoms like skin rash, eye irritation etc. Such detailed recording produced a rich documentation of emissions from the factories, and their (short term) health impact. Earlier, complaints of leakage and emissions had been dismissed as one-off events, as exceptions or sometimes, even falsehood. For the first time, the community now had powerful evidence of the prevalence of pollution and problems caused by it, thanks to the documentation. It thus became difficult for the government to ignore it, and there is far higher level of accountability in the system now than ever before. The community is now carrying out this process on a regular basis in different ways, such as night vigils, pollution patrol, river monitoring, incident monitoring and so on. The workshop has thus spread information on several tools and methods for local communities that would be critical to impose accountability on industries for the pollution they create, pollution for which they are paying a very high price, and to which a blind eye is being turned as the industries are powerful, and often because they are seen as part of “national interest” and “development”. As the government pushes ahead with an ambitious “Make in India” agenda for high economic growth, there is a real danger of escalating levels of industrial pollution and the consequent damaging effect on the health of the people. Therefore, the workshop could not have been more timely and relevant.